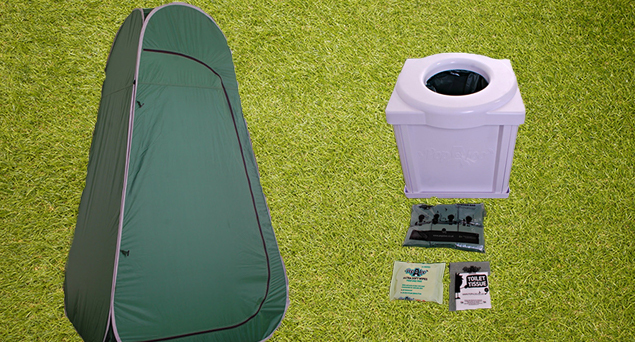 A unique, compact, eco friendly and highly portable toilet system. It's something we all have to do... but it's a lot nicer with a Popaloo! Why choose our portable toilet? 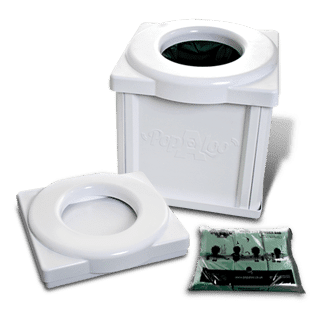 The Popaloo toilet uses a dry powder waste gelling system and Bio Degradable bags, the loose blend of powders is in each bag and has the capacity to gel 2.5 to 3.0 litres of fluid and solid waste. The Popaloo toilet when packed away is just 430mm square x 90mm high and comes in a durable fabric carry case, assembly takes seconds and builds to normal UK loo seat height so it is all familiar territory, Popaloo has been weight tested to 175Kg or 27 stone. As our system is so compact it makes everything highly portable, lightweight and practical, creating endless opportunities to have your very own Private Convenience anywhere. 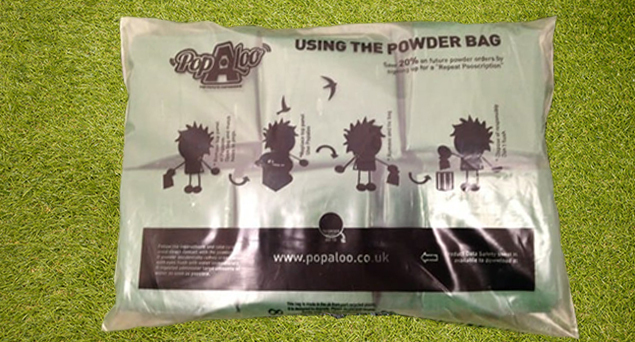 When you purchase a Popaloo toilet the only ongoing costs are the powder bags which are available in packs of 10 or 50, we also offer a 25% discount on the PB10 packs when you sign up for a "Repeat Pooscription” further details elsewhere on the website. 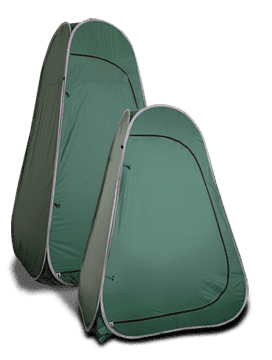 The Popaloo is a unique, compact, Eco-Friendly and highly portable toilet system, designed primarily for the use of family campers to festival-goers. Our toilets are used by an extremely broad audience, including, truck drivers, military and many more. 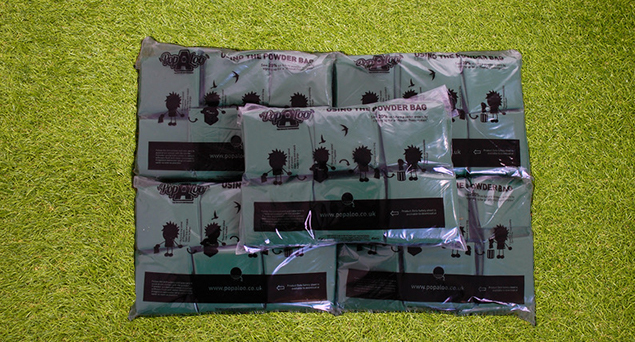 We have even supplied our products to the Star Wars production company, so if they are good enough for Darth Vader… May the Popaloo be with you! We are also a company that likes to give back so we donate a proceed of every sale to Toilet Twinning a UK based charity who provide toilets to some the world's poorest communities. 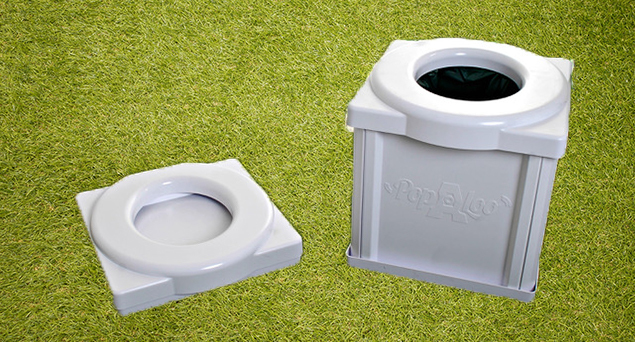 The Popaloo toilet is 100% Made in GB. "Outstanding item and service! 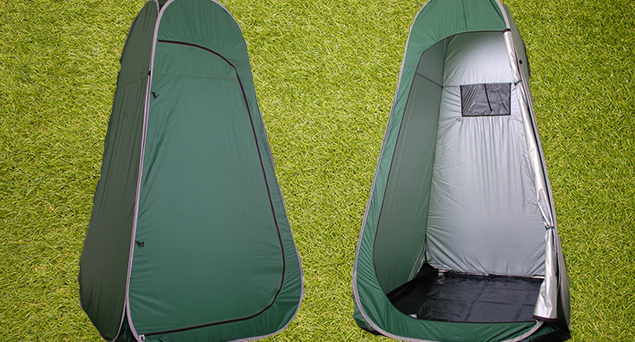 Highly recommend Popaloo as we have done on every trip and extremely pleased with our purchase!!!" "The product is great and quite frankly the service is even better." " thought the product was great! It was super easy to put up and take down. 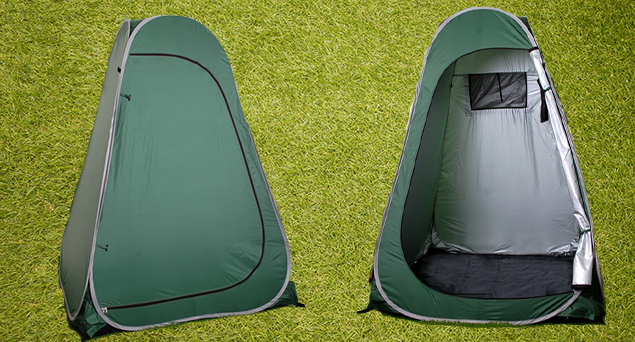 The tent survived some extremely windy conditions."